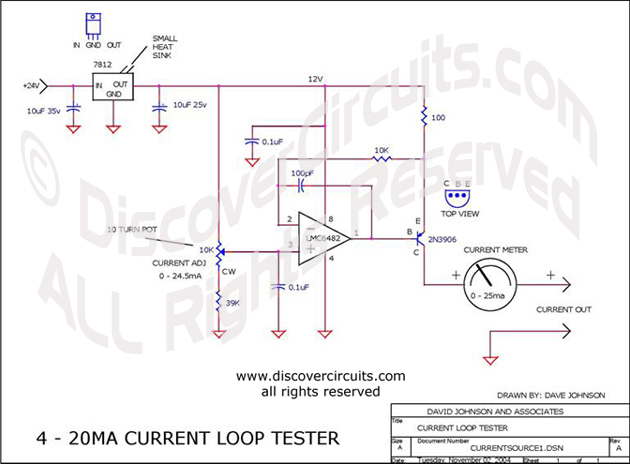 Circuit: 4 – 20ma Current Loop Tester__ Circuit designed by David A. Johnson, P.E. This circuit injects an adjustable current through a wire loop. Using a digital current meter, the current can be adjusted from near zero to over 24 milliamps.